Ready to Face the World With Confidence? 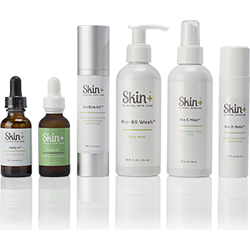 Schedule your custom skin care appointment today. 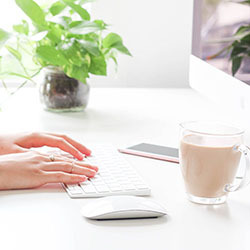 Get results with our "Skin Care Boot Camp"
It’s the personal mission of Austin Skin+ owner and licensed esthetician Carly Pilar to solve stubborn acne and other skin conditions that can blemish your self-confidence and rob you of your self-esteem. So Carly formulated her own Acne product line and developed the Skin+ Method ™ to ensure clear skin results. 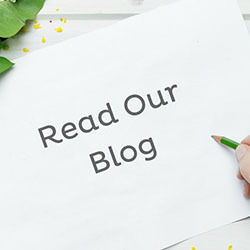 Forget superficial skin care; At Austin Skin Plus we take a deep dive into your biology and behavior to devise the best treatment and prescribe results-driven products for your unique needs. 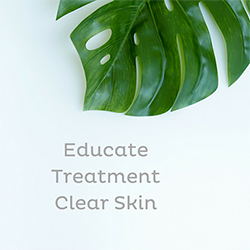 We educate you with clear instructions for sustainable skin care that empowers you to put your best face forward from the first treatment – through the long term. Carly saved my skin after 30 years of frustrating and unpredictable acne, rampant misinformation from media to doctors, and being so disheartened by all methods, medications and products that I almost did Acutane. THANK GOD she snagged me right before I did that.I started seeing visible changes in tone and clarity in the first month of peels and individualized product use. I'm now 3 years into working with Carly, and my skin feels and looks so good. She's taught me so much about the hows and whys of acne and how to take care of my system as a whole to help manage my acne. She's professional, honest, thorough and SO damn good at what she does. There's no one else in Austin doing what she does. I'm forever grateful to her for changing my skin and plan on keeping her forever!If you or your teenage child struggle with acne, don't waste your time or money on ANYTHING else and call Carly right now. I promise, she'll change your life. I started my Skin+ journey about four months ago in June. At that point, I had tried just about every thing on the skin care market except for Accutane. I had been through it all and nothing fully worked for me. In June, I was also going through one of the worst skin phases I had ever been through. At that time, Carly started training Lauren, and I primarily see Lauren. I could not recommend them enough! They are the first people I have seen who are genuinely interested in your lifestyle habits and routines so that they can pinpoint the problem. They listen to you so that they can figure out which products/lifestyle changes/treatments are right for you! Also, Lauren is genuinely one of the sweetest people I have ever met!! She is so encouraging, caring, and thoughtful. She constantly tells me how proud she is of me even though I think it is her who has made all the difference in my skin! Fighting problematic skin can be a tough journey but Lauren's support has made it amazing! I am so thankful that I came across this place and these people!! Life changing!!! I spent 10+ years dealing with adult acne -- it was the worst and I tried everything and spent thousands of dollars over the years on every skincare product you could imagine. I constantly had a zit or two on my face -- most of the time they were large, stubborn, cystic acne. Carly was able to diagnose my skin remotely (via phone/pictures) and the results have been amazing! I started using Carly's products August 2016, and I have not had one skin issue since then and my skin has been 100% clear, even through a pregnancy. Carly is AMAZING at what she does, and I'm so thankful for her products/help! I cannot say enough good things about Austin Skin Plus!